The importance of social media applications is indeed more apparent these days, most especially if you are in the business scene. For this reason, businesses that range from startups to novices are utilizing these applications to benefit their brand, products, and services. This is because advertising via the internet is one of the most natural and most accessible avenues for it – whether you are working in your office or doing real estate social media marketing in Miami beach. If you are wondering what are the latest social media strategy that you can use for your business, here are some of the latest social media marketing trends that may help you. Since its success with YouTube, live video streaming’s popularity has widely spread to other social media platforms – specifically Facebook and Instagram. With that said, marketers should be wary with this social media marketing strategy this year as this can be a powerful technique for their business. Utilizing this tool can let them engage with their audience, and at the same time, strengthen their brand’s bond with their followers. Moreover, using this strategy can help the audience build their trust and loyalty with their brand. This kind of social media marketing started when the internet introduced Snapchat, a social media platform that lets you post photos and videos at the moment that will only last for 24 hours. When this application’s feature was patronized by many, Instagram has followed Snapchat’s lead and created its own – the Instagram Story feature. Soon after, Facebook also added a similar feature that they named as Facebook’s My Day. With these facts said, utilizing the real-time content strategy can indeed be another great tool to showcase your brand, product, and services as the audience of today tend to interact, react, and be involved in this kind of technique. When done correctly, the audience will undoubtedly see the authenticity of your brand and will be a regular believer and consumer of what you are offering. Aside from the story feature, Instagram has recently added a new feature in the application called Instagram TV or most commonly known as IGTV. This latest feature lets users air a long video content on their Instagram account. With this said, this can be used as an avenue wherein marketers can showcase their brand, products, and services to their audience in a more personal way on the internet. Nowadays, more and more influencers are popping out in the social media scene. With this being said, reaching out to influencers to help you promote and advertise your brand, product, and services is a good move that you must do. These influencers have almost every social media platform – from Facebook, Twitter, Instagram, YouTube to their website. As a result of partnering with them, they will certainly help you reach more people – given that they have a lot of followers that trust them. Another social media marketing strategy that every marketer should do is to have messaging applications that are personalized to their brand. This kind of social media platforms greatly helps your audience reach you and vice versa. Additionally, it is another personal way of interacting with them. On the other hand, chatbots will help you to communicate with your audience first. If by any chance a user visits your site, your chatbot can spark up the interaction with the user that can ultimately lead to a sale. These are some of the social media marketing trends that you can do this 2019 for your business. 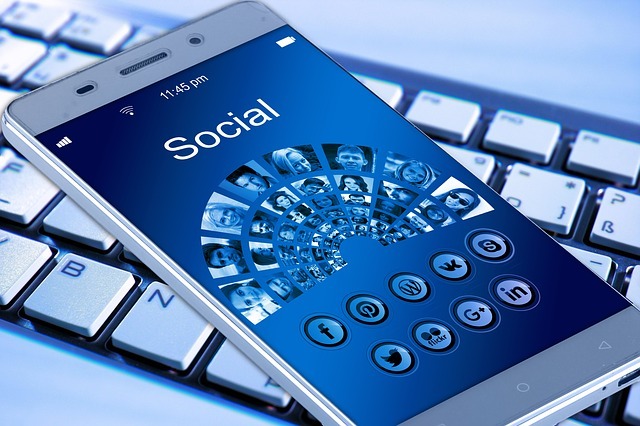 By using these available social media platforms on the internet, you are connecting and leading users to your brand. There are a lot of online marketing methods but I personally believe that the results with Google Adwords Management can the exceptional because it is a quick method and You Can attract whole lot of audience that is actually interested in purchasing the services / products from you.